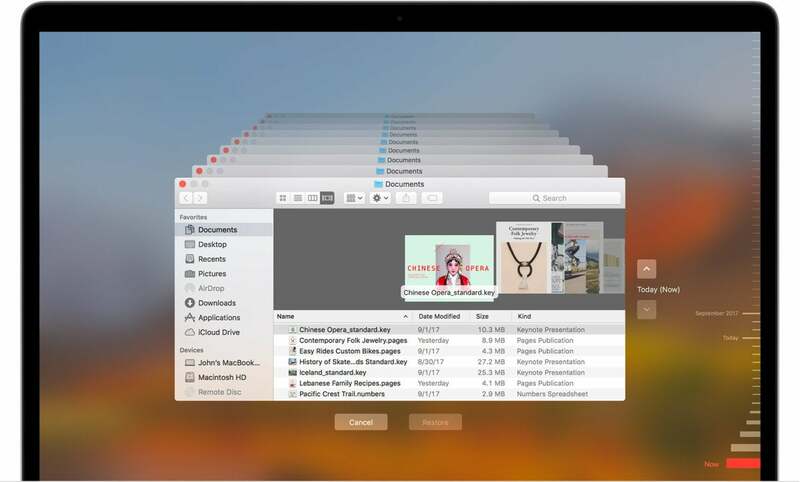 Deleting files in from your Mac affects the Time Machine snapshot, but you can go back to an archive. Does a hard drive have to be solely dedicated for Time Machine use? One of the key reasons to have a continuously running backup, whether to local storage or a cloud-backed provider, is to restore files you accidentally delete. Macworld reader Helena is trying to understand under what circumstances Time Capsule allows recovering a deleted file. Deletes a number of files from her Mac. Performs a manual Time Machine backup. Restores it to another Mac. Will the files deleted in step 1 be recoverable, Helena asks? Yes, but not as easily as with some hosted and local backup services. You can invoke Time Machine in the Finder to see deleted files in older snapshots and retrieve them. But after restoring, you can adopt or “inherit” the Time Machine backup for the new or recovered installation. Once adopted, that Mac can browse through Time Machine snapshosts just as if it were the previous Mac. Some other archive software will let you pick an arbitrary snapshot from which to recover, so you can pinpoint the time at which you last were in the state you wanted to be.